Bergstrom Inc., a global leader in the design and supply of climate systems to the commercial vehicle industry, announced today a full acquisition of Dirna S.A., based in Madrid, Spain. Dirna S.A. is a manufacturer who sells air conditioning systems to the European Commercial Vehicle (Truck) market, for off-highway construction and agricultural machinery and for other field industrial and road vehicles. A European compliment to Bergstrom’s NITE No-idle systems, Dirna also has an extensive range of solutions for vehicle cooling, electrical standalone air conditioning systems, compact roof units, and evaporative cab coolers. 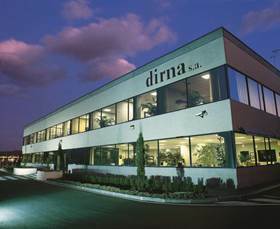 Bergstrom welcomes the Dirna acquisition as a way to grow Bergstrom’s production and manufacturing capabilities of HVAC products in the European Commercial vehicle (truck) market, off-highway vehicles, and specialty vehicles markets, and to strengthen their ability to provide high-quality products in an efficient and timely manner. 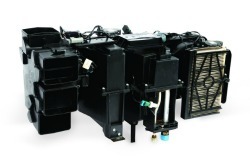 Bergstrom, a global leader in the design and supply of climate systems to the commercial vehicle industry, will soon launched a HVAC system for off-highway vehicles that consists of four separate modules, making it more flexible than similar products currently on the market. The modular HVAC Unit consists of four sections: a mode distribution module, a heat exchanger module, a blower module, & air intake module. This approach gives customers the ability to install the product in the configuration that best fits their application. In addition, the system has been validated to the rigorous requirements of numerous OEM customers, and global off highway equipment manufacturers. For more information about the new heater valve, contact Bill Gordon at BGordon@bergstrominc.com. © 2013 - 2019 Bergstrom Europe Ltd. All rights reserved.